Have you ever had a stuck pixel? How about backlight bleeding? With the ScreenTest Cydia app you can fix stuck (out of place) pixels present in your iPhone, iPod Touch or iPad’s screen. Additionally you can test to see if you have backlight bleeding; and if so in what range. The ScreenTest app works by using a logarithm that operates at a high frequency to excite pixels and hopefully release their stuck state. Another thing to keep in mind is that the tweak was designed to be a safe method of fixing pixel related problems. Unlike other applications which use unsafe methods of fixing such problems, the ScreenTest app ensures that the average power requirement to the screen is roughly constant which is safer than other methods. If you are interested in ScreenTest you can find it through the BigBoss repo for free. 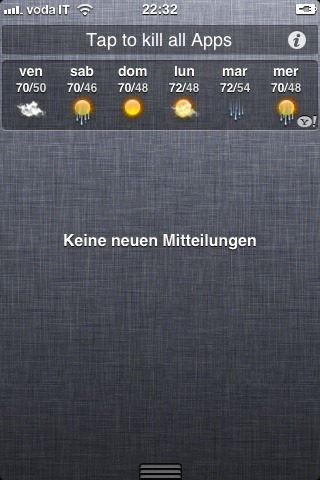 The Notification Center seems to be the best new improvement in the iOS 5 firmware. Many 3rd party developers are taking full advantage of it by developing new tweaks to make the Notification Center more customized and useful. If you don’t believe that Notification Center is an improvement, then check out the Cydia tweak WeeKillBackground. This new tweak gives you the option to directly kill all running apps from your Notification Center. Simply download the tweak from Cydia, enable it through the Settings.app, and then tap the “Tap to kill all Apps” button. The tweak will then automatically close all your running apps. This tweak is available for FREE on the BigBoss repository. Grab it now! 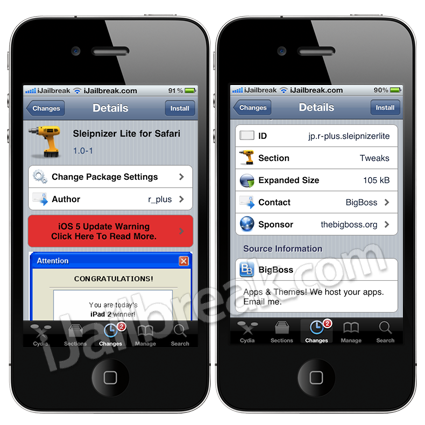 Sleipnizer For Safari is a Cydia tweak that extends the functionality of Mobile Safari by adding configurable Gesture functions. These functions range from Moving Tabs, Closing Tabs, Scrolling and Enabling Private Browsing Mode. Meaning you could configure a downward swipe (for example) to close the tab you are currently in. It is no doubt that the tweak is definitely a useful tweak that will further increase your productivity while using the Mobile Safari browser. You can find Sleipnizer Lite For Safari through the BigBoss repo for free, and you can also find the full version of Sleipnizer For Safari for $1.99 through the BigBoss repo. 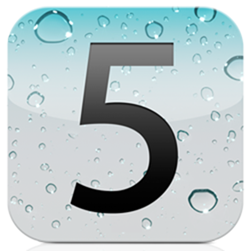 Have you ever wanted a quick way to Reboot, ReSpring or Shutdown your iPhone, iPod Touch or iPad? If you have you will be glad to know with the Cydia tweak PowerIcons you can quickly put your iPhone, iPod Touch or iPad into SafeMode, ReSpring, Re-Boot or Shut It Down by tapping on an icon. These icons appear on your SpringBoard and are extremely useful shortcuts for power users. If you are interested in the PowerIcons tweak you can find it through the BigBoss repo for free. Hi Guys. I can seem to find the actual download link for the ScreenTest app. I followed ur link but it wasn’t on that pageor any of several pages after that.